PERRY, N.C. – Do you like fishing, hunting, and camping, or do you consider yourself an outdoorsman? Well hold on to your seat because Chevrolet released a Realtree edition package for the Silverado. This truck has everything a regular Silverado does with Realtree style and special features to convenience your outdoor lifestyle. The Realtree Edition package will be offered for all of the Silverado 1500 LTZ Z71 crew cab models. On the exterior, a special blackout trim, black bowties, off-road assists steps and black 20-inch wheels with all-terrain tires. With the outdoorsy package, your truck will be decked out with camo graphics, the Realtree logo embroidered on the front-seat headrests, and other interior attributes that feature the Realtree logo. 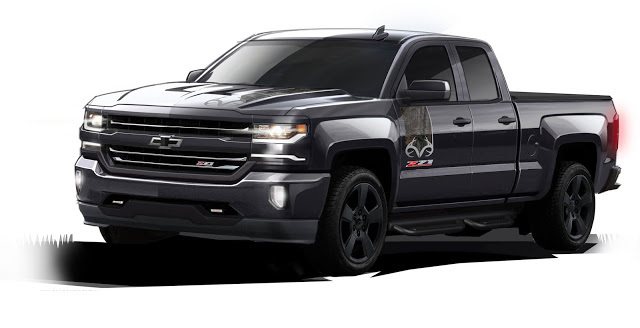 The Silverado Realtree Edition will go on sale this spring if you’re looking to make an upgrade, but if the Silverado isn’t for you there’s plenty of other great Chevy models you can choose form at Perry Auto Group. Check out the 2016 Chevy Traverse or the 2016 Chevy Tahoe which have the connectivity features you want and all the safety you and your passengers need on any adventure.